CGG S.A., an geoscience company providing geological, geophysical and reservoir capabilities, said that the Board of Directors has unanimously approved the voluntary delisting of its American Depositary Shares from the New York Stock Exchange and its voluntary deregistration with the U.S. Securities and Exchange Commission. 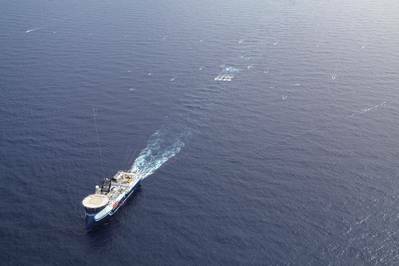 According to a press release on the matter, CGG said that the costs associated with continuing the listing and registration of its ADSs exceed the benefits received by CGG, as the primary market for CGG shares is Euronext Paris. Following delisting of the ADSs from the NYSE, CGG intends to maintain its American Depositary Receipt program at “level one”. This will enable investors to retain their ADSs and facilitate trading on the U.S. over-the-counter market. The depositary of CGG’s ADR program will remain The Bank of New York Mellon.